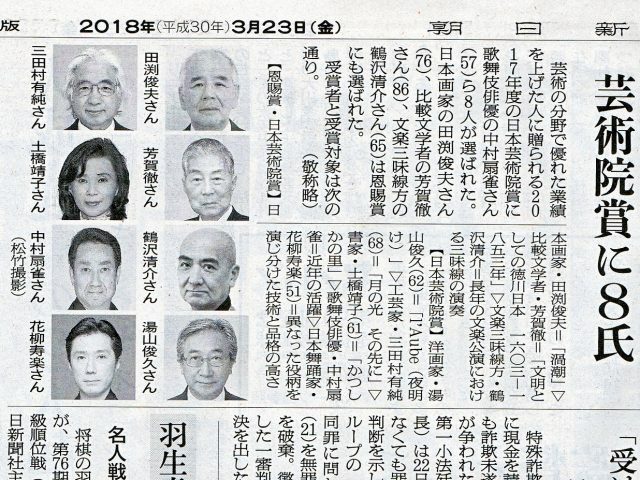 A great urushi(Japanese lacquer)artist, Mr. Arisumi Mitamur…a, professor emeritus of the Tokyo University of the Art is awarded the Japan Art Academy Prize. This prize is awarded by Japan Art Academy to individuals outside of Academy members who have produced works of art deemed to be outstanding, and individuals who are recognized to have made distinguished contributions to the advancement of art. 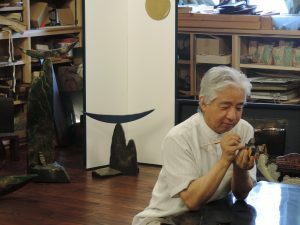 He is the tenth urushi artist who awarded this prize since the prize was established and fith decorative aritst in these ten years.